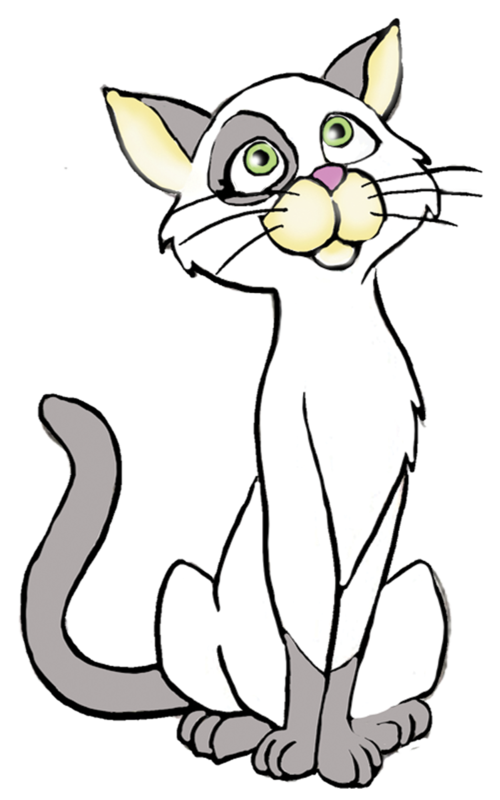 The friendly cat character often seen in our worksheets and activity pages is Glimmercat, a gifted and talented feline, who loves helping children reach their full potential. Glimmercat helps children to learn because young children love familiarity and routine in the midst of newness, and this is exactly what this friendly kitty establishes. This is one of the reasons why I use a friendly animal character to accompany children on their alphabet journey. Whether you are a classroom teacher or a home-schooling parent, we trust you will love using our materials and we hope they will be a valuable resource. We value feedback, so please feel free to contact us with concerns or questions. And if you enjoy any of our products, feel free to look around our store to check out the many other Glimmercat Educational Products we offer. Thanks Again! "Although I may not be considered "living" in the strictest sense, my existence began to provide a welcoming animal guide and friend for children as they begin and continue their learning journey. The fact that I'm a cat is pure luck on my part"
Free Printables That Work With 100 Easy Lessons. 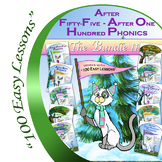 This is an All-in-One Bundle of all our Phonics packets designed to be used after you have completed any of the lessons (1 through Lesson 100) of, "Teach Your Child To Read in 100 Easy Lessons". Each Letter of the Week Packet includes crafts, activities, writing practice, path of motion, introducing the letter cards, a song, path of motion practice, reading literacy, writing center activity, dot to dot, maze, game, little book, and four crafts and lesson plans with suggestions for utilizing the activities over a five day period. 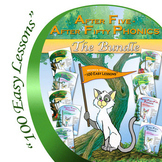 - If you have purchased both bundles (1 & 2) separately please email me for the bonus (glimmercateducation@gmail.com). when you Buy the All-in-One Bundle! 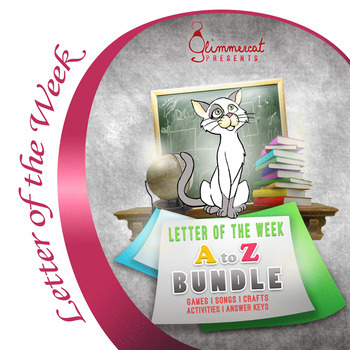 If you have purchased both bundles (1 & 2) separately please email me for the bonus (glimmercateducation@gmail.com).